Loomstate !Act Natural! Blog: Empowerhouse! Empowerhouse on the National Mall! Image from Empowerhouse's Flickr. Our partnership with Parsons started with our participation in their Zero Waste program several months back (the result of which will be revealed in the coming weeks! ), and it's only grown stronger since. 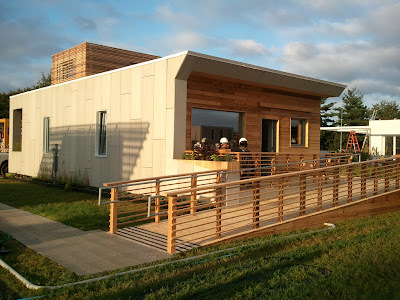 Architecture and Engineering students from Parsons, Milano School of International Affairs, Management & Urban Policy, and Stevens Institute of Technology teamed up to design, build, and operate a super-efficient, solar-powered house, named Empowerhouse, for the US Department of Energy Solar Decathlon. Twenty international teams will be competing in affordability, efficiency, consumer appeal, and design. A chart outlining Empowerhouse's energy use. Image from the Empowerhouse site. What sets Empowerhouse apart from other teams' models is that it's going to become a real house for a low-income family in the Deanwood neighborhood of Northeast Washington. And, according to the NYT, with its focus on cost efficiency, it will also serve as a model of sustainable housing for the non-profit Habitat for Humanity. The plan is to move the house to Deanwood after the competition, and Habitat for Humanity will work with the students and volunteers to transform it into a larger two-family duplex. With its passive house designs providing superb insulation, 1,100 square ft. Empowerhouse could need up to 90% less energy to heat and cool itself. A rendering of Empowerhouse in Deanwood. Image from the Empowerhouse site. Loomstate wanted to get involved with this awesome project in whatever way possible, so we donated organic cotton blank tees for the whole Empowerhouse team, who then, in their creatively efficient ways, self-printed them with their own design. 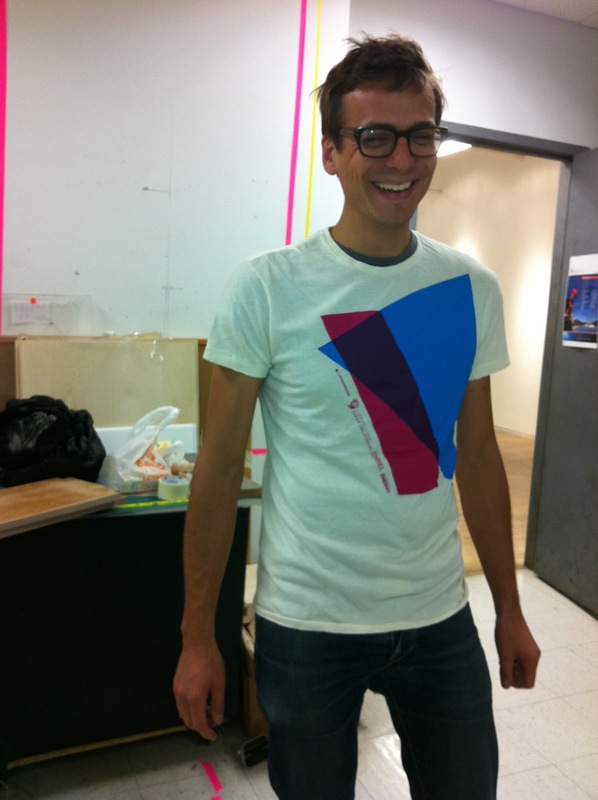 An Empowerhouse team member in a Loomstate organic cotton tee with their own self-printed design! The 20 teams have spent two years designing and building these models, and they're all congregating at the National Mall's West Potomac Park in DC this week. It's open for free public viewing this Friday until October 2nd, so we can all gather some green ideas for our own homes! Check out the hours, directions and special events here. Follow Empowerhouse on Facebook and Twitter, and check out their website and Flickr!